After all this time? Revisit your old friends from the Wizarding World in this book club for fans. 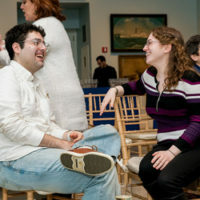 Readers familiar with the Harry Potter books will gather together over a bagel brunch to dig into the series’ key topics and themes and explore the lasting power of J.K. Rowling’s words. Always.